Reviewed on Switch, copy supplied by Nintendo. There’s something special about Mario Kart, it’s one of those rare series that transcends typical games by being so accessible it’s virtually a mandatory social experience. A perfect mix of skill, luck and chaos, it’s managed to stay a relevant Nintendo staple since 1992, and in my opinion, Mario Kart 8 stands out as the pinnacle of that series. Rereleasing the game on the Switch is an incredibly smart move on Nintendo’s part. It’s no shock that not many people had the Wii U, so a lot of potential fans missed out on the title first time round, and by including new features and the DLC from the original, there’s enough to bring back die hard fans. So it’s with little surprise that we’re seeing another must own title on the Switch, which for those still doubting, has proven to be a fantastic console, and Mario Kart 8 Deluxe highlights that fact. We know you hate Bowser, but do you really have to murder his seed? With upgraded graphics, a new battle mode and additional features, the original game has well and truly been bolstered. 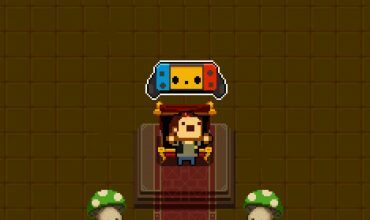 The game runs incredibly smoothly on the Switch in all modes. I haven’t experienced any hiccups and the game looks crisp with 1080p native resolution on TV, and 720p when handheld. As a hand held game it showcases how beautiful and functional the Switch is. Of course playing multiplayer in a tabletop set up isn’t ideal, but it’s great to have the option for irregular occurrences like long haul flights. One negative with handling boils down to the system itself, namely the accessories. Controlling the game with a single Joy-Con takes some getting used to, as the small size is uncomfortable for extended play, especially for adult hands. Fortunately playing with two Joy-Cons on a controller grip and with the Pro Controller is great, but as you want to add more and more players these options become pricey. But we’re not here to judge Mario Kart 8 Deluxe on the price of Switch hardware, we’re here to talk about the game, and it is fantastic. 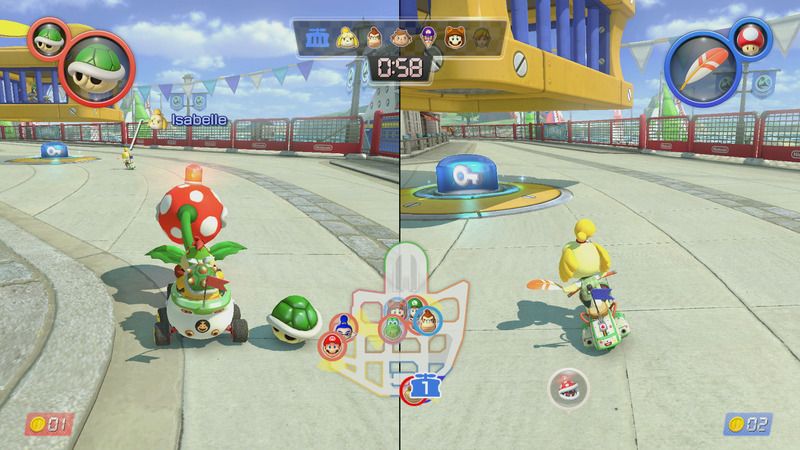 New settings have been introduced to ease new players into the world of Mario Kart, such as the smart steering mode, which stops your kart from going off the road. It’s like bowling with bumpers, and it allows low skilled players to keep up with those who have spent a bit more time perfecting their drift boosts. From the get go all characters are available, with just new vehicles and accessories left to unlock. 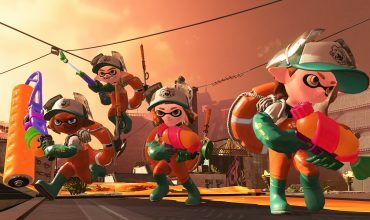 New characters joining the fight for Deluxe are Inkling Boy, Inkling Girl, King Boo, Dry Bones, and Bowser Jr. New items include an item stealing Boo and a jumping feather, which lets you leap over shells. The biggest addition, and easily the best, is the ability to collect two items, which really ramps up the brutality when playing with friends. 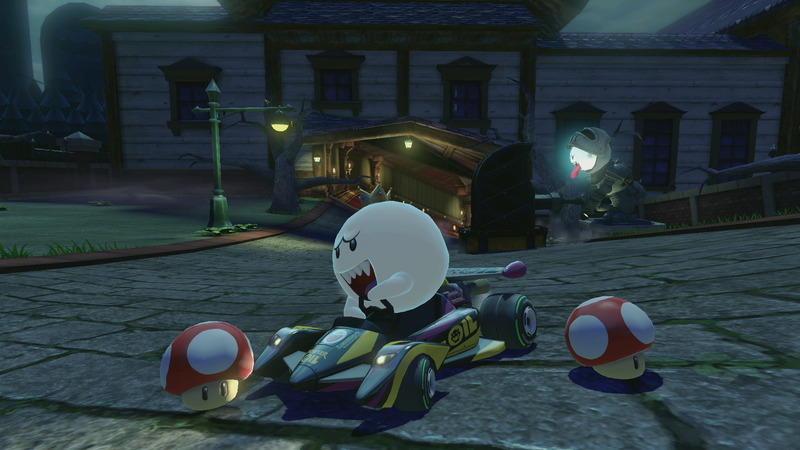 Jumping into Grand Prix mode you can race around a selection of classic and newer maps. Each track brings its own challenges, and different settings allow you to ease yourself into them, with the usual 50, 100, 150, 200CC and mirror variants. 50CC is the slowest and 200 the fastest, and jeez it is fast, to the point you have to start turning hundreds of metres in advance to not run off the road. Not sure how physics applies here. 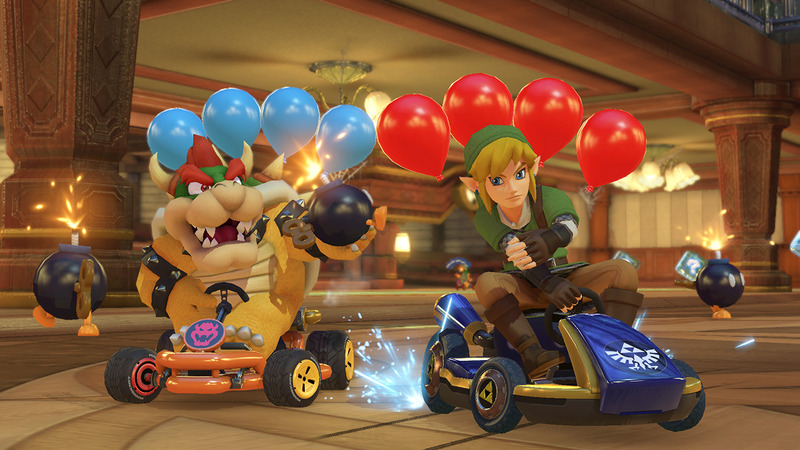 Playing solo or with friends, Grand Prix will keep you entertained for a while, but the real pull for existing Mario Kart 8 fans is the new improved Battle mode. 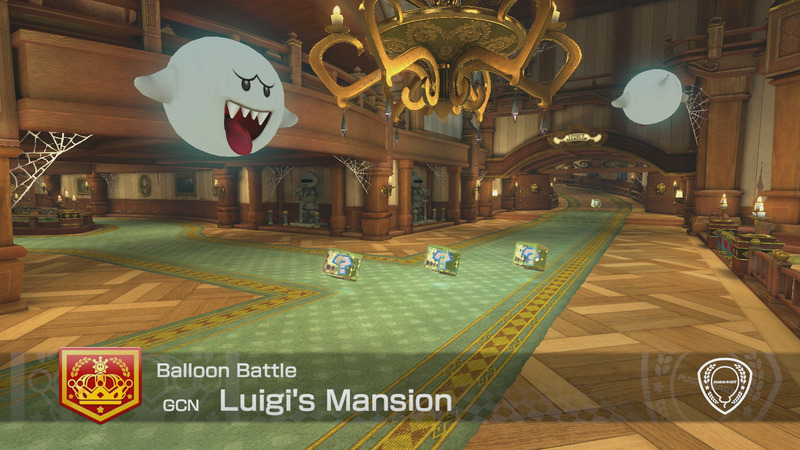 In the 2014 version battles were a weird blend of Grand Prix with balloons, confusing many players who yearned for the battle arenas of yesteryear. Now those arenas return and with a variety of modes to play. Balloon Battle is a free for all or team based brawl, pitting you against friends or AI as you aim to knock off their balloons to earn points. Renegade Roundup is a team affair where one side plays as the law, and the other as outlaws. To win you need to avoid capture or lock up all the opposition. As the renegades you can free your allies from a cage to continue the round. It’s probably my favourite of the modes. Bob-omb Blast is similar to balloon battles, but a tad more chaotic with only bombs as the items. Coin Runners is a challenge to collect the most coins, and of course if you get hit you drop your loot. This is probably the mode you’re most likely to snap a controller in frustration over. And finally Shine Thief is a mode where you have to hold onto the Super Mario Sunshine icon until a countdown is completed, and it’s chaotic with everyone on the map vying for control. The arenas themselves are varied, but if you’re like me you will mostly stick to the old school Battle Course 1 from Super Mario Kart on the SNES. Aside from solo and multiplayer play, you can also link consoles and play online. Considering we received a pre-release copy I haven’t checked these out as of yet, but their addition should boost play time and add to the already great multiplayer options. 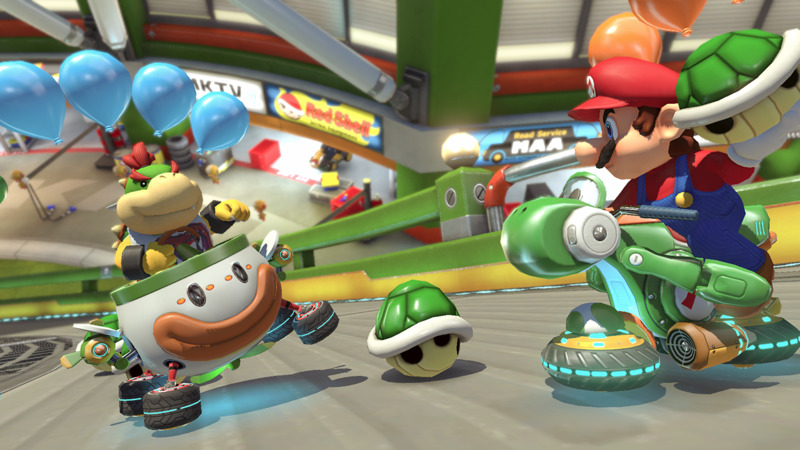 In my opinion Mario Kart 8 was one of the finest in the series, and Deluxe only cements that thought. It’s the pinnacle of multiplayer gaming and its presence on the Switch is another massive tick for Nintendo’s latest console. Mario Kart 8 Deluxe is more than just a GOTY edition of the original, it's a homage to the heavyweight series. It also has the benefit of showcasing the majesty of the Switch and its capability as a portable system. It's more than worth buying for existing fans, and a no brainer for those who missed it first time round. Shell Charlie on Twitter @clbraith and don’t forget to follow @load_screen and like us on Facebook.